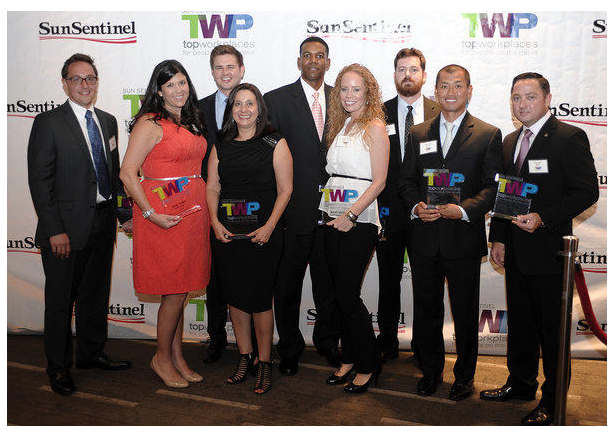 Ten individuals and two businesses were honored Thursday at the W Fort Lauderdale hotel for fostering growth and success among young professionals as well as for their contributions to their organizations and community. The Top Workplaces for People on the Move awards recognized leaders in a wide range of industries, includingbanking, medical and public relations. A panel of six executives from the private and nonprofit sector judged the nominees and selected the winners for the annual awards presented by the South Florida Sun Sentinel.